Reminiscent of a warm summer day with flowering vines climbing old stone walls, Signoria Soleil captures the beauty of Tuscany. 300 Thread count 100% Egyptian cotton in a floral print. Available in duvet cover and shams. We invite you to view Soleil and all the Signoria fine linen collections available on DefiningElegance.com. A young and sophisticated design, the new Signoria Dafne bedding collection brings to mind a shell, a sea urchin, a coral or even the petals of a flower. 300 Thread count 100% Egyptian cotton. This over the top print in ivory and black creates a dramatic optical effect. Available in duvet cover and shams. We invite you to view Dafne and all the Signoria fine linen collections available on DefiningElegance.com. Versai Alessia bedding, the finest quality Egyptian cotton sateen from Italy, is constructed of extra light weight special yarns and weave that are combined to create these amazingly soft linens. 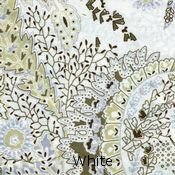 White embroidery on White linens, White embroidery on Ivory linens, or Ivory embroidery on White linens. We invite you to view Alessia and all the Versai fine linen collections available on DefiningElegance.com. RB Casa (Errebicasa), a leading brand in the bedding sector, produce quality bedding collections that are found in the finest hotels and homes around the world. Their Monet sheeting collection emanates a simple beauty and quiet luxury. 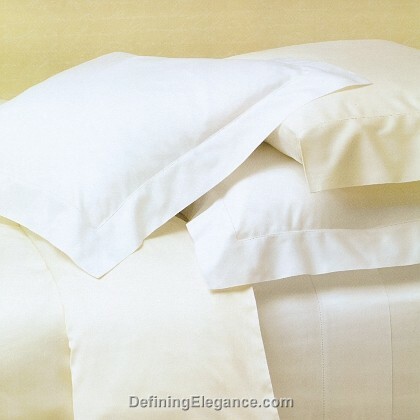 Available in white or ivory and made in a 400 thread count percale cotton with hemstitch detailing. 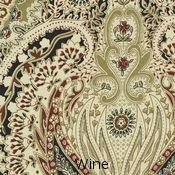 We invite you to view Monet and all the RB Casa fine linen collections on DefiningElegance.com. RB Casa Maori in Ratiere sateen 300 thread count have a gentle tone on tone printed stripe. Flat sheet, cases, and shams have solid border applied. The collection is offered in white or ivory. 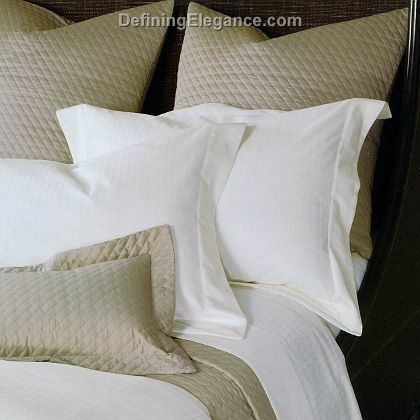 This collection can be paired with RB Casa Venezia quilted coverlet and shams. 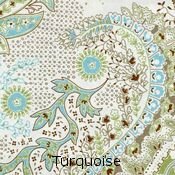 We invite you to view Maori and all the RB Casa fine linen collections on DefiningElegance.com. We are pleased to announce that Errebicasa – RB Casa has introduced three new colors for the Sorrento Bedding collection: White, Wine, and Turquoise. The newest colors of this popular paisley design in a 350 thread count Egyptian cotton are finished with an applied solid sateen flat piping. These beautiful colors are sure to bring new life to your bedding ensemble.